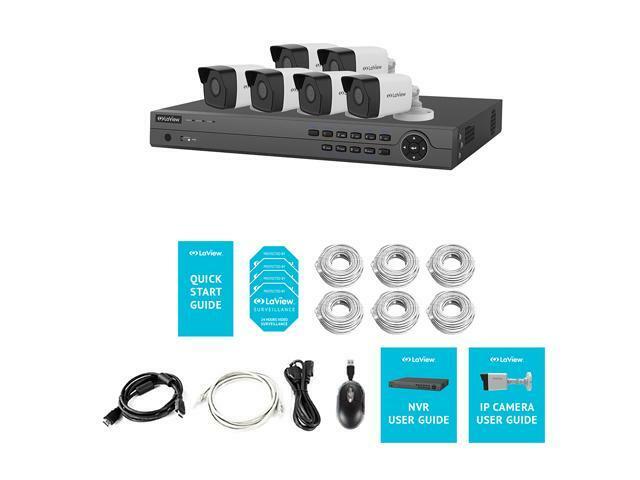 A video surveillance kit ideal for home and office use, including an eight-channel NVR, four 4MP (2688 x 1520p) cameras, and two 2MP (1920 x 1080p) cameras. These cameras have night vision up to 100 feet, and are weather-proof to IP66, keeping a watchful eye on your property day and night, rain or snow. 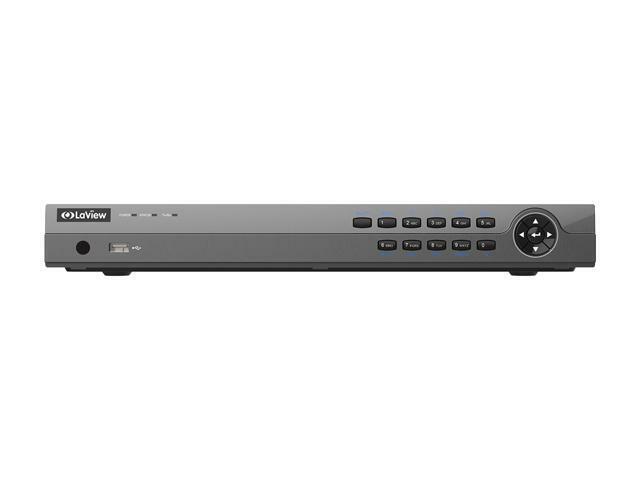 The NVR's PoE capability carries both power and data on a single Ethernet cable, helping reduce cable clutter and installation cost. With the LaView Net mobile app, you can watch live surveillance video, play back recordings, and get phone alerts whenever the cameras sense a motion. An HDD is required to complete the system, sold separately. Up to 6 TB HDD is supported. 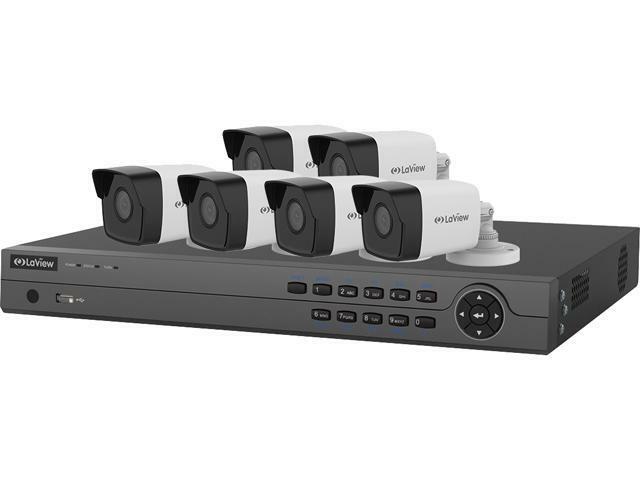 Bundled Camera Spec 4.1MP Mini Network Bullet Camera Image Sensor: 1/3" Lens: 4mm Viewing Angle: 83.6 Dgrs Recording Resolution: 2688 x 1520 Interoperability: ONVIF, PSIA, CGI, ISAPI Operating Temperature (F): -22 ~ 140 Power Supply: 12V DC, PoE (802.3af) Weatherproof Rating: IP67 IR range: 100 ft. Dimension: 2.70" x 2.60" x 6.80" Weight: 1.10 lbs. 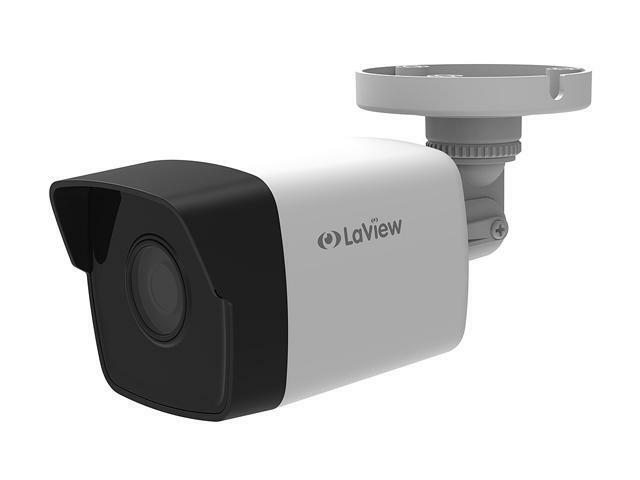 2.1MP Mini Network Bullet Camera Image Sensor: 1/2.8" Lens: 4mm Viewing Angle: 83.6 Dgrs Recording Resolution: 1920 x 1080 Interoperability: ONVIF, PSIA, CGI, ISAPI Operating Temperature (F): -22 ~ 140 Power Supply: 12V DC, PoE (802.3af) Weatherproof Rating: IP67 IR range: 100 ft. Dimension: 2.70" x 2.60" x 6.80" Weight: 1.10 lbs.